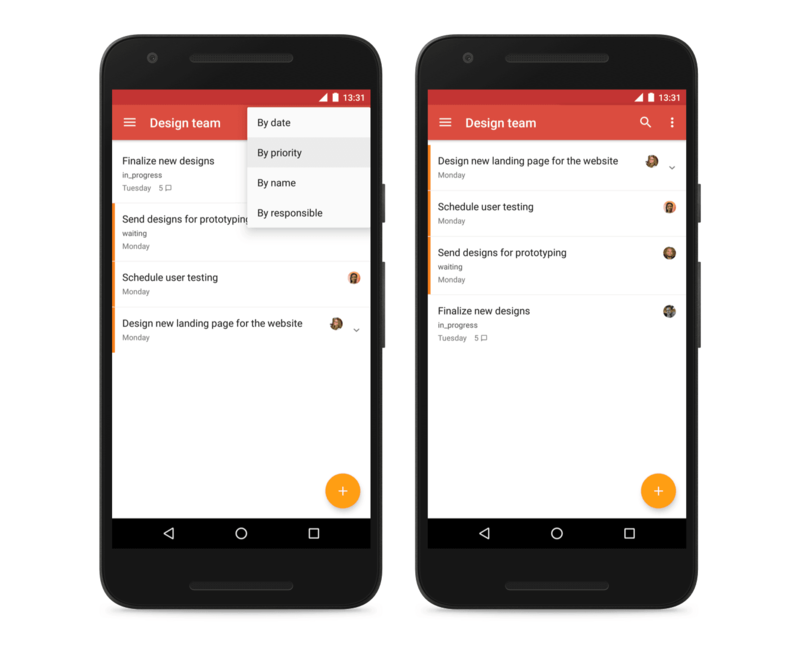 Todoist, one of the most popular task apps, has revamped its Android app after overhauling the iOS version a month last month. Todoist 9 is bringing a handful of neat features and a new look to the app, which will make it even more powerful for Android users. Tablet users will be happy to hear the app now supports the use of Bluetooth keyboards. The biggest change is to its Quick Add function, which allows you to set and manage tasks using natural language and will also now parse your sentences to find tags, dates, times, categories or people you might want to add. For example, if you say “I need to pay the electrical bill this day every month” and then type #home and +your housemate’s name, Todoist will now automatically create the monthly task, set reminders, add the correct person and file it in the right project. There are also some new shortcuts in version 9 – you can now add a task from project view using the pinch gesture and use better sorting options for projects. Perhaps the best update is the ability to name projects using emoji, which makes it a lot easier to describe your feelings towards the ever-growing to-dos. Todoist also says it has updated its syncing and that it’s now four times faster, so if you dismiss a task on one device, it won’t still appear on another. While the app is free to download, it costs $29 per month for a pro subscription to use all of its features, which might sound like a lot, but with continuous updates and handy new features, Todoist is proving itself to be worth the buck.